Our goal is to prosper the farmer while safeguarding the environment. We are above and beyond State and Federal standards, use rail cars to release fewer emissions and are a part of the Responsible Nutrient Management Foundation. We follow the 4R’s: Right Source, Right Rate, Right Time, Right Place to sustainably produce more food and fiber for a growing population with less applied fertilizer. To support our products we do extensive research. Our 750 tillable-acre farm is one of the largest research farms dedicated to fertilizer research. We work hard to ensure crops are receiving the highest quality of plant nutrition. High NRG-N™ is used in all crops that require applied nitrogen to achieve top yields. High NRG-N™ is an advanced formulation of 27% nitrogen, and 1% sulfur. High NRG-N™ is stabilized through proprietary manufacturing technology to protect the nitrogen and reduce losses from leaching and volatility. Not all of the nitrogen in High NRG-N™ is immediately available at application; the proprietary manufacturing technology allows for plant-available nitrogen through the growing season. Pro-Germinator® is used primarily for the application of phosphorus, but is partnered with nitrogen, potassium, and micronutrients for maximum performance. Pro-Germinator®, through proprietary manufacturing technology, contains both ortho-phosphate and carbon-protected polymer phosphate to provide readily available and controlled-release phosphorus with minimal danger of tie-up in the soil. Kalibrate™ is a chloride- and hydroxide-free potassium solution that contains sulfur. 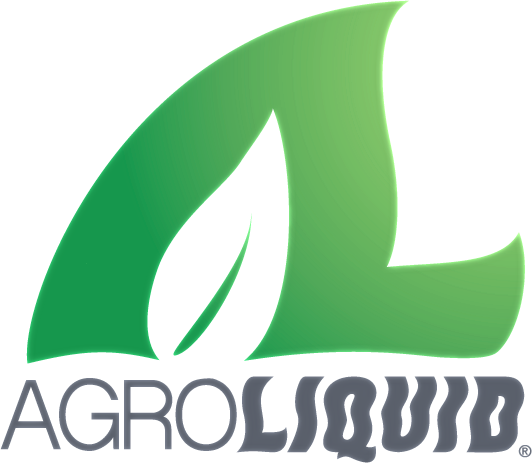 It can be used in combination with Pro-Germinator® and other AgroLiquid products to provide a complete fertilizer program. Kalibrate™ is specially formulated to resist freezing and comes back into solution without heat or agitation even when freezing has occured, making it well- suited for fall and early-season delivery in northern climates.